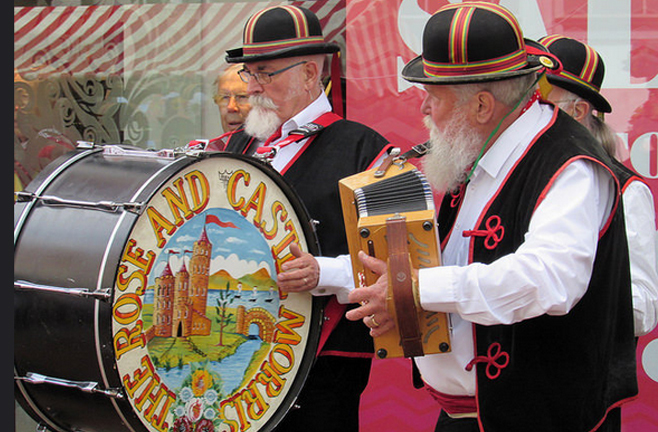 Rose and Castle Morris is a men's North West Morris side based at The Boat Inn in Stoke Bruerne, which lies between Milton Keynes and Northampton. Only men dance, but we welcome men and women to the band. A wide range of instruments is played. The key is portability. Currently we have fiddles, tin whistles, melodeons, concertina, accordion, side drum and Bass drum. You can find more about of this style of dance by clicking on the button below. Find out more about the roots of the Rose & Castle Morris. See our gallery for pictures and videos from previous events. Join us for practice at 8.30 pm Wednesday evenings. 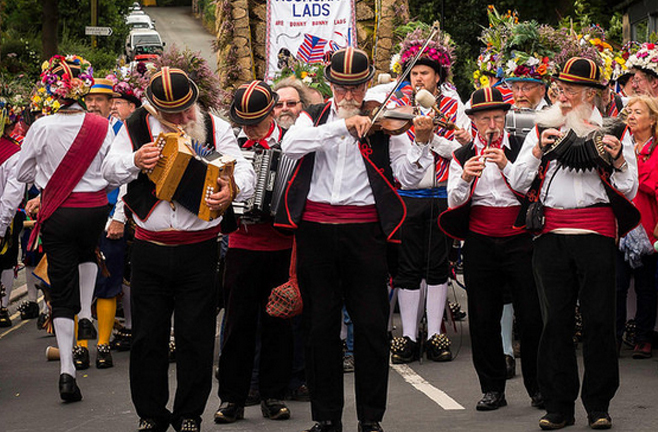 This great English tradition can only be kept alive if men, especially young men, are prepared to take part. 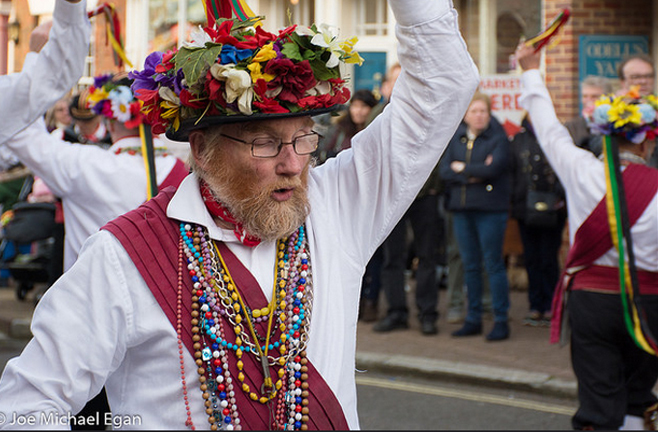 Once you join us you will discover the new world of the Morris. Many of our newer members regret that they did not discover it earlier. What you will find is that there will be a lot of fun and great camaraderie - as well as an enjoyable way to keep fit. The Boat is a great traditional family owned and operated pub. Canal side, thatched roof, real ale and cider; what more is needed?